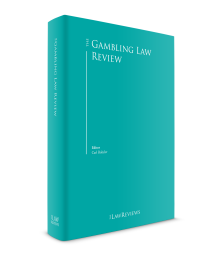 The following chapters of this book set out a comparative analysis of the laws relating to gambling across a variety of states and jurisdictions. The objective of such a work must necessarily be limited to providing a general guide to the laws in each individual state. However, bringing together these summaries also affords a different opportunity: the chance to compare and contrast different legal approaches. Comparative analysis is important because it helps us to understand rather than simply know the law, by explaining and demonstrating the different cultural contexts in which law has developed to mirror and control the societies in which those laws operate. Gambling law is an apt topic for such an analysis for a number of reasons. First, compared with some legal disciplines (such as financial regulation, digital copyright, competition or telecoms law) gambling has a very long history and deep roots in human culture and legislation. To give two examples, until 2007, UK gambling law included contributions from the Gaming Acts dating back as early as 1710 and 1738. The current law relating to gambling in India (the Public Gambling Act), dates from 1867. There are many other examples. Second, gambling is often considered to be a distinct field of human activity, subject to a discrete set of rules that address some fairly basic legal problems about controlling human conduct. Consequently, the corpus of available materials is thankfully quite limited, but the subject matter is a topic that affects and interests the public in general, involving consumers’ basic rights and desires, and also social dangers, the potential for criminality, addiction and so on, as well as having moral and religious resonance. In short, anyone who wishes to understand gambling law needs to keep in mind two principles: that all gambling law is local and, more importantly, that the attractions of and risks associated with gambling are universal. A further reason why gambling law is one of the most interesting areas for academic study is that, in the past two decades, the advent of the internet has caused the availability of and social attitudes toward gambling to change considerably. This in turn has forced national governments to reconsider how the law should change and adapt to deal with these new technological and cultural developments. Gambling is therefore not only a field of diverse legal approaches, but an example of law undergoing rapid evolution. Currently, no fewer than 10 different EU Member States are considering changes to their laws on gambling regulation, and several governments outside the EU are actively engaged in creating regulatory regimes for gambling for the first time. As a result, one of the unusual challenges that faces gambling lawyers is the need to advise not only on what the law is in a particular jurisdiction, but also to assist gambling operators (and sometimes regulators) to understand how to predict future developments in the law. Businesses involved in gambling (be they operators, or those who provide ancillary services to operators) often have an obsessive focus on the way that the law might develop – how different countries may liberalise (or restrict) access to gambling, how they are likely to tax and regulate it, and their attitude to foreign interference in a local market. In such activities there is always a significant tension between the desire to capitalise on changes to the law (or uncertainties in its enforcement or interpretation) and the overall desire to remain compliant and operate within the licences that have been granted to the operator. In making those judgements one has to understand the underlying attitudes and pressures on lawmakers, and the different solutions and models that might be developed. So it is worth spending time considering the wider contexts and characteristics of gambling in order to develop what might be described as an ‘instinctive feel’ for how a particular jurisdiction or government will deal with the issues involved. First, therefore, let us look (albeit very briefly) at some of the cultural influences that have shaped attitudes to gambling. The question for the student of gambling, as for the anthropologist, is not whether people will gamble, but how gamblers, governments and wider society view and control such conduct. Although gambling is a human constant, the way in which society views such conduct has varied widely over the centuries. Very often, the basis of the treatment of gambling is religious or cultural. But as with many religious or cultural ideas, the ideas that lie behind such religious or cultural notions are pragmatic. Let us isolate some of these. In many cultures, we find gambling frowned upon because at its heart is a conflict between players, which leads to one person giving up his or her possessions to another unwillingly as a result of losing. One can trace the roots of such a belief back into the very earliest societies when resources for survival were scarce and required a group effort to deliver a harvest capable of sustaining the community through the winter seasons. In such circumstances, spending time in a pursuit in which people redivided those resources (rather than creating new ones) was essentially counterproductive – and so should be an activity either banned altogether or at least heavily restricted to those times and places when there was true leisure to be taken. It was, in essence, a waste of precious time and something that brought people into needless conflict – so a number of societies condemn gambling on the basis that it is socially divisive and unproductive. In that respect it can be distinguished from sports, which might be said to increase stamina, strength or skill, and therefore have some element of social utility. Another way in which gambling comes into conflict with religious observance is that it emulates certain aspects of religious practice. One important function of the priestly classes of many early religions was the prediction of the future (success in battle, times of flood and times of harvest or the will of God more generally) by interpreting an act of nature or of random chance. In ancient Rome, the interpretation of entrails (‘haruspication’) was a relatively mainstream part of religious practice (from which we have the more common word ‘auspices’). There are many other forms of divination that play on the random, including numerology and ceromancy (the dropping of hot wax into water). Prominent among these are ‘sortilege’ (the drawing of lots) ‘osteomancy’ (the casting of bones) and ‘cartomancy’ – the prediction of the future using cards such as the tarot. In each of these three practices one can see immediate parallels with gambling behaviour, where marked knuckle bones are transformed into dice, the drawing of lots mirrors the selection of lottery tickets and the shuffling and turning of the tarot deck is transformed into the card games that we know so well today. In case this is thought to be a somewhat slender and theoretical basis as a cultural foundation for gambling, it is worth noting that there are more than 70 references in the Old Testament to the drawing of lots to determine God’s will (including, for example, the decision to throw Jonah into the whale and David’s decision to start battle against the Philistines). The tools of divination (the stones of ‘Urim and Thummim’) were literally attached to the breastplate of the priest in the Book of Exodus. In the New Testament, following the death of Judas, the apostles decided upon the identity of the new apostle (Matthias) by a similar process, and in a completely different religious context, the identity of the Dalai Lama is revealed by random selection of names spun round in bowls of barley meal. So at the heart of gambling behaviour we find practices that emulate important sacred rites. It is literally an act of playing with ‘the wheel of fortune’ or calling upon the ‘Fates’ or ‘Lady Luck’. Gambling may therefore be seen as a misuse of religious tools for worldly purposes. All these factors create feelings of suspicion (perhaps even superstition) in relation to gambling. To be clear, gambling and religious divination are not the same, and do not necessarily spring from the same origins, but they do tap into the same deep human beliefs about fate, luck and predicting the future. One of the difficulties of legislating for gambling is that it encompasses a wide variety of different social activities with completely different social perceptions and risk factors. In considering the gambling landscape of a particular jurisdiction and the way that gambling is likely to be regulated, it is important to have an overall grasp of what is popular, and why. This includes a consideration of how gamblers are perceived (and how they perceive themselves), the types of gambling that are popular and the risks arising to players as a result. This is a very complex topic, well beyond the scope of an introduction such as this, but suffice it to say that to understand legal systems designed to control gambling, one requires an understanding of the role and character of different forms of gambling within that society. One may start with the types of gambling that are actually popular. Poker is a very popular game in the US, but in India it is largely unknown, with rummy being the more popular card game. Sic bo and Pai gow are not popular in the West, but form a mainstay of Asian gambling. Backgammon only has wide appeal in Turkish, North African and Arab societies while Pachinko is a curiously Japanese phenomenon. Another way of dividing the landscape is to categorise gambling by demographic and social risk. High-stakes casino games may often be regarded as pastimes reserved for rich tourists and James Bond-esque characters who can afford to lose and require little in the way of social protection. However, a government considering the regulation of gaming machines in working men’s bars or cash betting on cricket by millions of citizens on the Indian subcontinent might quite properly focus on the social harm that gambling can cause in societies where disposable income is low. Other forms of gambling, such as bingo, have a completely different social connotation and function – being primarily a ‘risk-free’ activity enjoyed as part of friendly sociability (and may therefore actually act as a form of ‘social service’ rather than a social risk). Still other forms, such as lotteries, actually form a mainstay of charitable giving (and may not even be regarded as a form of gambling by many of those who buy tickets). Even if gambling is treated simply as a morally neutral economic activity, it requires some form of legal control in the same way as other commercial activities. There needs to be a degree of regulatory oversight to ensure fairness and consistency (all the more so in relation to an act that is inherently unpredictable and prone to manipulation). Consequently, as a matter of public order, governments have often intervened in order to ensure a measure of consistency and fairness. However, and almost inevitably, the involvement of government in gambling has not been restricted to its control or suppression. For many centuries, different types of ruling authority have recognised that there is much to be gained from organising and permitting gambling as a valuable means of deriving state revenue. There are many historical examples of governments appropriating control of gambling. Lotteries have been used to fund military expenditure, cultural monuments and to raise funds to help with disasters. State lotteries remain one of the most ubiquitous forms of gambling (and in some jurisdictions is the only form of gambling allowed). The intervention of government in gambling gives rise to a sometimes uncomfortable conflict of interest. Once a government organises and profits from gambling through taxation, it cannot by the same token condemn it as illegal or morally inappropriate. National lotteries may help many good causes, but the net economic effect of such state-based gambling is nearly always a redistribution of wealth away from the poor (who proportionately spend more of their disposable income on lottery tickets than the rich) in favour of the better off (who tend to enjoy the type of educational, cultural and sporting activities that lotteries often fund). Further, governments that regulate gambling have to tread a careful balance between criticising the social harm that gambling can cause to a small minority of players, and accepting and acknowledging their own involvement as a gambling operator. Some governments (mostly those that have a strong religious component – such as some Arab and Asian regimes) regard gambling as a sin. Since such governments regard part of their duty to eradicate sin within the population, these states take the view that gambling should be the subject of a near or total ban. The criminal law is used to prevent gambling, but also to prevent the advertising of gambling or access to online gambling sites located abroad. There are governments that take a highly paternalistic approach towards social freedoms of their populace, and seek to impose tight controls on gambling. Such societies may have a limited state lottery or other state-owned gambling, but will not usually allow gambling to be operated by private enterprise. Such governments may also permit casinos to exist in tourist destinations, but ensure that access is restricted to the foreign population only and that local people are barred. Examples of this type of approach (expressed generally) include India, Vietnam and North Korea. There are governments that recognise the social dangers of gambling, but also the freedoms of their own citizens to make a choice about their forms of entertainment. These governments generally restrict access to gambling but also take a pragmatic view that prohibiting gambling is extremely difficult (and may not be morally justifiable in a democratic society) and therefore permit most forms of gambling, though subject to careful regulation. Most continental European governments used to fall within this category, though a number have now moved to greater liberalisation of the market. There are governments that treat gambling as being merely another form of commerce and that provide a liberal regime for operators. In these jurisdictions, one is likely to find gambling opportunities integrated within normal retail environments. Such jurisdictions still have rules designed to protect children and the vulnerable from exposure to gambling and will normally have a blend of private enterprise-led gambling of all forms as well as some state-controlled gambling (such as a national lottery). The UK is an example of such a liberal regime. Finally, are those jurisdictions that actively encourage gambling within the state as a means of generating tax revenue and employment for the local population. Formerly, such states were interested primarily in encouraging tourism using the inducement of gambling and entertainment. Destinations such as Macao and Las Vegas exemplify this approach. However, more recently the prevalence of online gambling has created new ‘hot spots’ of activity (Gibraltar, Malta, the Isle of Man, Alderney, Kahnawake and Curaçao being obvious examples). In such jurisdictions, governments seek not to attract tourists, but gambling operators with favourable tax regimes and promises of robust technology and flexibility of approach. Aside from the overall intention of regulation, there is also the question of the historical perspective of the relevant regulator. In certain jurisdictions, regulation has developed in an environment where the principal function of the regulator was to ensure that those who were involved in gambling had no connections with organised crime. In such jurisdictions, the level of due diligence on potential licensees can be extremely extensive and issues of ultimate beneficial ownership, source of funds and affiliates and other related third parties are often the subject of very detailed investigation. Other jurisdictions where criminal involvement in gambling is or has been less common are inclined to take a more ‘risk-based’ approach, targeting resources in proportion to the perceived social harms of types of gambling. Finally, there are those jurisdictions that might be said to provide a more ‘light-touch’ regulatory approach. This can manifest itself in a number of ways – either in allowing ownership structures to be permitted that are more or less opaque, imposing less rigorous reporting obligations, imposing less strict rules in relation to account ownership/know-your-customer checks and so on. It may be harsh (but it may also be fair) to say that at the end of the spectrum are regimes designed to provide a badge of respectability to operators who wish to enjoy the benefits of a largely toothless regime. The traditional way of controlling gambling activity was (1) to restrict those individuals who could offer gambling services and (2) to control the premises from which gambling could legally take place. For many years, this approach worked perfectly well and provided a good measure of control for governments as well as defining in clear terms where the gambling was taking place and therefore which authority should regulate (and if appropriate, tax) its conduct. Indeed, that method still provides a perfectly workable mechanism for the control of much gambling activity around the world. However, with the advent of freely available long-distance telephony and, subsequently, remote communication such as the internet, new questions arose about ‘where’ gambling was taking place and therefore which government should or could control its regulation as a matter of law. At this point, it is important to emphasise that there is no ‘right’ answer to the issue of jurisdiction. Different governments have taken different approaches, each of which is essentially legitimate. All models operate by reference to the basic ‘building blocks’ of a gambling transaction. The first of these is the customer. Normally, one considers the customer to be an individual interested in enjoying gambling services. Of course, in some cases, the individual customer may itself be a gambling operator seeking to offset or ‘hedge’ its risk. However, irrespective of whether the customer is in the business of gambling itself, one can still recognise it as a distinct counterparty. The next building block is the gambling operator, which may be defined in a variety of different ways but, for present purposes, can be said to be the organisation that is in the business of offering gambling services. In addition to these building blocks, there are one or two other key activities that might be used as a point of control. The first of these is the location of the provider of the financial services that enables the gambling to take place. The provider of financial services is not itself in the business of gambling, but it may be said to be an accessory involved in assisting, aiding or abetting the gambling to take place. The other activity normally associated with gambling is advertising – essential to the process of bringing the customer to the gambling operator. In order to demonstrate how these building blocks can be arranged to create a coherent legislative strategy (and one that can change), it is probably best to provide some examples. In English law, the general test for determining whether the English criminal courts have jurisdiction over a particular matter is known as the ‘last act test’. In summary, one analyses each of the acts that constitute the criminal offence (the actus reus) and then determines whether the last of these occurs within the UK borders. Where this is the case, the English courts will have jurisdiction to prosecute the accused party. However, where the ‘last act’ takes place outside the United Kingdom, the offence is deemed to take place abroad and is normally beyond the power of the courts. Applying that test to the concept of unlicensed gambling, the consensus view is that the ‘last act’ that constitutes the offence of ‘providing facilities for gambling’ takes place when a betting or gaming instruction is received by the gambling operator and acted upon (i.e., a bet is accepted or a decision to partake in the game is acknowledged). Until that point, no gambling has taken place at all. Based upon that analysis, the offering of gambling by an operator outside the United Kingdom could not create an offence justiciable by the English courts. However, and by contrast, were there to be an offence of advertising foreign gambling (as indeed there was until 2014) then that offence would be completed at the point that the advertisement was effective within the United Kingdom (i.e., published and available to UK citizens) and therefore would be justiciable by the English courts even in circumstances where the operator was based outside the UK. This approach had a number of advantages. First, it created legal certainty and showed due deference to principles of international comity. It also allowed for a measure of control because although UK citizens could freely gamble with operators abroad, there was still a measure of control in relation to advertising of those services in the UK. However, the approach also had shortcomings. It created a ‘two-tier’ regime, with operators both within and without the UK being able to access the UK market despite operating at different tax regimes, placing UK-licensed operators at a competitive disadvantage. Also the law did not fully achieve the policy objective of protecting the UK public from illegal or unregulated gambling offered from abroad. The regime changed by virtue of the passing of the Gambling (Licensing and Advertising) Act 2014. Under that legislation, the test of whether a licence was required changed from being based upon the location of the relevant gambling equipment (i.e., the locus of the gambling) to the location of the customer. In doing so, the new law sought both to level the competitive playing field from a fiscal and regulatory point of view, but also to increase the level of protection for the UK consumer. 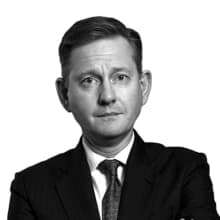 However, in taking that step, the law necessarily created a difficulty: how can one practically compel an operator who ignores the new law, and who may not have assets or individuals within the jurisdiction that can be the subject of a prosecution by the English courts? Gambling offences are not the type of offence that are normally prone to calls for extradition proceedings, partly because they are not inherently serious enough criminal offences to fall within the ambit of most international treaties that cover extradition, and also because the normal rule in such matters imposes an obligation on the country seeking extradition to show that the conduct complained of is actionable both in the law of the prosecuting state and in the state where the accused is located (the ‘double actionability’ test). So each approach to jurisdiction has its advantages and shortcomings. The same types of problems can be seen with the evolution of the law in the US. The US legal position is complicated by the interaction of federal and state law. These topics are covered in more detail in chapters 3 and 22, and so the arguments are not rehearsed here in any detail. However, the federal government has specific powers set out in the US constitution and other law-making powers are expressly retained by individual states under the constitution in order to provide those separate jurisdictions with a power to legislate on matters for their own citizens. It is for this reason that the prevalence of gambling in Nevada is at the opposite end of the spectrum from that allowed in states such as Utah. Indeed, one of the roles of federal government is to protect the autonomy of individual states to be self-governing in such matters. Indeed, one of the first pieces of federal legislation to deal with gambling was the Interstate Wire Act of 1961,5 which was specifically designed to prevent betting transactions being conducted across state borders. For a number of years, a debate raged as to the interpretation of the Wire Act and whether it prohibited all forms of gambling on an interstate basis or only sports betting. To oversimplify a highly complex story, that ambiguity was largely resolved by the passing of the Unlawful Internet Gambling Enforcement Act 2006 (UIGEA).6 That legislation led the large majority of online gambling operations outside the United States to cease any activity within the US. UIGEA specifically targeted not only those offering services to US citizens but also ancillary service providers such as financial services providers. Subsequently, a number of states (notably Nevada and New Jersey, but there are others) have legislated separately for online gambling activity and a number of foreign operators have applied for licences to conduct online gambling within those states. But the position still remains a ‘patchwork’, with the chances of any federal legislation dealing with gambling remaining a distant and theoretical possibility. We are now seeing a major challenge to that paradigm with the decision currently in the hands of the US Supreme Court, with 23 states currently preparing to permit betting within the state if a favourable decision is given. The ability of national governments to determine their own gambling policies has also fallen into conflict with international trade agreements. These agreements once again highlight one of the difficulties in dealing with gambling law – namely whether gambling should be considered a form of commerce to be treated like any other supply of goods and services or whether the special considerations that we have highlighted in this chapter mean that it is more apt to be regulated on the basis that national governments should be entitled to determine the best policy in line with the social, political and religious landscape prevalent in the state concerned. Another example of the interrelation of trade law with social protection and fiscal and penal law is to be found in the many battles that have been fought on gambling policy in Europe. The European Treaty guarantees the rights of persons in EU Member States to enjoy free movement of goods and services, and freedom of establishment. National governments may create laws that derogate from those overarching freedoms, but only to the extent that they are proportionate, necessary and actually intended to achieve the effect of protecting local populations from social harm or criminal activity. Many EU Member States traditionally controlled gambling activity using laws that were directly contrary to the principles of free movement and freedom of establishment, and these laws were subject to a number of different challenges either by the European Commission or by individual operators who sought to show by one means or another that those laws were actually designed for the protection of national gambling interests (often controlled by the state) or for the protection of fiscal revenue. Over the past 10 years, those challenges have largely been successful and, as a result, we have seen significant shifts in gambling policy across a multitude of European states. It is likely that that process will continue for at least the next decade, and as this book goes to print, there is a substantial challenge being brought to the legislation in Germany. XII what is a ‘game’ anyway? We have already mentioned the fact that different activities are treated either as gambling, or investment or harmless entertainment depending on an often artificial and culturally based notion of what is socially acceptable. But just as different societies have different views of social norms, so do social norms change through time. One good example of this is the notion of ‘sport’. Many societies distinguish between competitive sports and forms of gambling, seeing the former as positive and socially acceptable, and the latter as socially divisive and, therefore, morally questionable. But the distinguishing features of what is a sport and what is a game can vary over time. Over the past decade, as electronic communications and computers have become ubiquitous, we have seen the rise of e-sports, computer games and other forms of activity that cross the boundaries. How should they be treated? Many people enjoy computer games, and many people believe that children spend far too long playing such games rather than engaging in more traditional sporting activities. How should society treat these developments? Is someone who is addicted to video games in precisely the same predicament as someone who is addicted to running marathons? The issue of whether something is classified as gambling is often seen as a reason for restricting its availability, but gambling has to be seen as a form of activity that exists across an ever-changing spectrum of social leisure activity. The comments above are necessarily a highly simplified analysis of gambling law and policies across the world. They are by no means designed to be a complete summary of the legal position in any state. However, the aim is to show that common issues and policies directed towards common problems created by the nature of gambling can be identified. Many states are still struggling with the challenges created by online gambling and shifts in the social acceptability of that industry. This book demonstrates how wide the spectrum of responses can be. Nevertheless, over the past 20 years, remote communication, particularly in the form of online gambling, has caused immense structural changes. The next decade will no doubt be full of similar changes and challenges, but it might be said that we have moved a long way in our understanding of the types of approach that are possible in dealing with this complex social and legal phenomenon. Increasingly, regulators are cooperating and discussing problems of common interest – be they issues of money laundering, player protection or tax. We can expect differences to persist. But if there is a theme for the future it is that gambling has become truly international, and governments of all types are moving to accept and address the challenges that globalisation creates, by a cooperative approach. 1 Carl Rohsler is a partner at Memery Crystal LLP. 2 An excellent study of the history of gambling is Random Riches: Gambling Past and Present, edited by Manfred Zollinger (Routledge, 2016). 3 New Testament (Mark 15:24, Matthew 27:35, Luke 23:34 and John 19:23). 4 For example, as discussed in Professor Peter Collins’ Gambling and the Public Interest (Praeger, 2003). 5 18 USC, Chapter 50, 1084. 7 In particular, see the challenge brought by the government of Antigua and Barbuda under the TRIPs Agreement.